For any brand, having a crisis of the magnitude we experienced at Barclays in 2012 gives you cause to reflect. 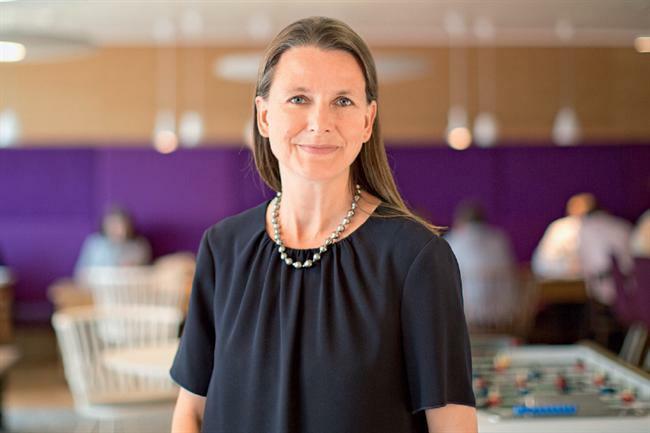 There is always a silver lining to these things, and for us it was the chance to think about marketing in a different way – not just selling stuff, but rebuilding Barclays as a brand. Looking back, we would always have very ordered plans: this is the product we are going to talk about for two months and then move on, albeit with customer insight at the heart of those products. We weren’t starting with a conversation with customers, finding out about their money concerns. The Stephen Merchant-voiced "One small step" campaign was funny and charming, but we were just finding a new way of telling the same story by using metaphors to bring old products to life. It is not just about the reputational journey we have been on, but also the digital revolution everyone is experiencing. Today, the vast majority of our and our competitors’ communications address innovations that weren’t on the market before. We talk about this being the third industrial revolution that Barclays has been through in its 325 years. All this starts with our existing customers. We need to be there around the day-to-day transactional elements of banking, as well as big "life moments" such as getting married, and also wider societal problems like youth unemployment. Ours is a big business that has a big impact on big things, but we’re also part of everyday life. When I talk to my team, I often mention the ambition of wanting to be one of "those" brands. We know that, on a transactional level, some of the processes and services we offer are right up there with "those" brands – our mobile banking service gets a Net Promoter Score which is as high as Apple’s or John Lewis’. Somehow, those good things need to climb up to the institutional side of the bank. What we discovered over time is that the measure most people closely associate with making a purchase is trust. That is very different from the old model, namely that awareness drives purchase. Clearly, marketing is still a sales tool, but that is not what it is all about. In the old-style world, even when dealing with reputational challenges, we would do it through a nice telly ad telling you how lovely we are really. Now, we had to shine a light on things actually happening from the grass roots up, rather than just inventing a marketing spin. When we launched our "Your Bank" push last September, asking customers to submit ideas on how we could improve our everyday services, it provoked more than 450,000 engagements on that platform. We didn’t know what tone we would get, nor whether anyone would bother to respond. It was a complete experiment but, tonally, most of the feedback was better than expected, and showed that people cared enough to help make us better. Something like our PINsentry online banking log-in tool is great because of the security it offers, but is hardly very handy, as people have to carry around a calculator-like device with them to bank. Being able to take their feedback about how annoying it is, and then offer a solution in mobile banking, is extraordinary. Some of the comments were about day-to-day stuff, such as the lack of anywhere customers can easily hang a walking stick in our branches, when we might be asking people to sign something. It was as simple as installing a couple of hooks, and you get a wave of positivity as a result. It’s not always a big, complicated, technical thing – sometimes it’s as straight­forward as a quick trip down to Robert Dyas – but you would never have known that. The ability to create stories from those moments is really powerful, and the new campaign [launching on 2 June] is a really different move for Barclays. One of the big changes we’re facing, along with every organisation, is what digital means in terms of customer behaviour. A lot of customers are moving transactions from in-branch to online, and that is shaping the business, but the real challenge is continuing to innovate, while not leaving behind those customers for whom we have a duty of care. A lot of customers are moving transactions from in-branch to online, but the real challenge is not leaving behind those customers for whom we have a duty of care. A brilliant internal initiative was set up last year called "Digital Eagles", where people were seconded from jobs all over the business to train colleagues and help them understand some of the new technologies we are offering customers. It then extended to how we can help customers who feel they are being left behind, through a joint project with Age UK called "Tea and teach". Older people would come into branches and we would go to community centres, to help them to understand the internet. You might ask why a bank would offer this, but customers trusted us more than the people they bought the equipment from. It got to the point where we had people coming in with iPads saying: "Can you show me? I want to Skype my grandson." Instead of finding a new way to describe a mortgage, the new campaign is all about the Digital Eagles, because we want to be very upfront about the issues that customers face, and what we can do to help them. And there is a golden thread back to the brand, of course: we’ve been around for more than 300 years and want the next generation to be as economically viable as their forebears. If we were a brand that consumers already loved, like John Lewis, everyone would say: "Isn’t that nice?" Because it is Barclays, however, they might ask: "Are they being cynical proverbials?" You will get that from some people, but, having seen these things and the difference they make to people’s lives, you can’t fail to be touched. People feel proud that they have been able to help older people contact family members who have lived abroad for years. It also helps with colleagues. To go through such a turbulent period, as we have done, is hard. It is tough to be told every morning that you’re rubbish when you know, on a day-to-day basis, you are doing a fantastic job helping people in the community in which you’re operating. Ultimately our brand is delivered through our people, so they are a really important audience for this. I genuinely love my job and am proud of the organisation I work for. I’m not proud of everything that we’ve ever done, but I’m proud of what we’re trying to achieve, and equally humbled by the task that is ahead of us. There is so much to do. You can never sit back and say "all sorted", but it’s a tremendously exciting time to work for an organisation going through such a transformation. We have all the building blocks to keep improving and be the best. It would be nice if it didn’t take the next 325 years to manage to get there, but that is very much the ambition.